Is this the year that you have decided to build a screened porch in your yard providing you with the perfect spot to enjoy a little shade, and escape all the pesky bugs that flourish during the warm summer months? If so, then there’s no doubt that you are excited about your big project and the many ways in which it will transform how you use your yard. With that said, even though you are building a screened porch, it doesn’t mean you want it to feel like you are indoors. Here are some simple tips you can use that will help provide that sense of nature and the outdoors to your screened porch, so even though you will be sitting under a covered room, and behind screened windows, you’ll still feel as though you’re outdoors. The first tip has to do with the design you choose. The best way to make your porch feel like the outdoors is to allow for plenty of light. Choose a model that offers a number of windows and screening so that your view isn’t skewed and you’ll still be able to see all angles of your yard. 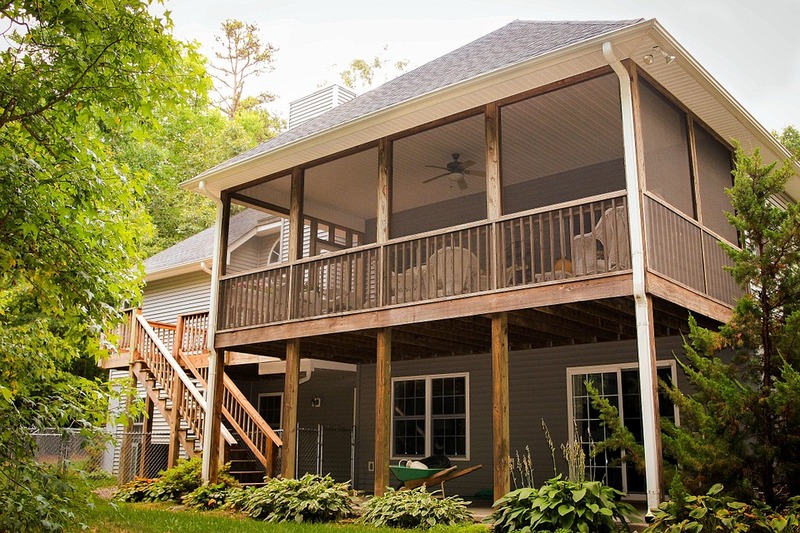 The pros at Architectural Landscape Design also suggest that you pick a screened porch design that fits and flows with the roofline of your home so that it feels natural and organic, rather than a wholly separate entity. While it’s impossible to have a garden inside your porch, you can have one in very close proximity. Plan out a garden that borders the porch or that is close by to provide you with that lovely scenery. If you are planting things up against the base of the porch, be sure you pick shrubs and bushes that do well in those particular lighting conditions. One of the best ways to impart a sense of nature and relaxation to your yard is to install some sort of water feature. This could be a fountain or a pond. Again, plan to place the feature near the porch so that when you’re sitting in the screened area you’ll still be able to hear the soothing water sounds. You can also install hooks on the roofline of the porch that are strong enough to hold bird feeders. You’ll be able to enjoy nature up close and personal as you attract all kinds of incredible bird varieties to your yard. Lastly, there is nothing wrong with using standard indoor plants in your screened in porch to give that sense of greenery and nature. You can pick varying heights, colors, and sizes to add interest. By using each of these tips, you’ll be able to design a screened porch that is not only lovely to look at but relaxing and enjoyable to use.